Jill has served as the UAMA’s Head of Archives and Preservation since 2016. She started with the Museum in 2012 and oversaw the early stages of the recently-formed Archive of Visual Arts. Since arriving, she has supervised the acquisition of over 700 linear feet of artists’ archival materials and hundreds of works of art. Jill has a passion for facilitating scholarship from the Museum’s holdings and providing students with access to original works. She holds a Masters in Library and Information Science and a certificate in Museum Studies from the University of Iowa. She is involved in organizations including the Art Library Society of North America, the Arizona Archives Alliance, and the Society of Southwest Archivists. Willa coordinates a wide variety of educational and public programs at UAMA and is passionate about creating opportunities for people to grow, share, and connect through art. 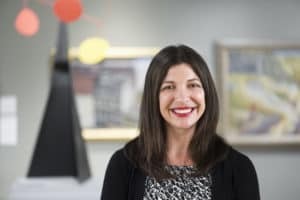 In addition to managing guided tours and group visits to the museum, she helps develop programs and tools for visitors of all ages to engage with art, exhibitions, and the UAMA collection. Prior to working in museums, Willa taught, ran educational programs, and managed volunteers in all kinds of settings: from a National Wildlife Refuge to an NGO in Ollantaytambo, Peru to the office of Leadership and Career Education at UA. Willa holds an M.A. in Art and Visual Culture Education and a Certificate in Museum Studies from the University of Arizona and a B.A. in Religious Studies with a Minor in Dance from Macalester College in St. Paul, Minnesota. Natasha grew up in Nashville, TN and graduated from the University of Memphis in 2012. Prior to her position at UAMA, she worked for a local rescue mission in Colorado Springs where she focused on donor cultivation and engagement. Natasha is thrilled to be a part of the UAMA team and is particularly excited about working in such a beautiful environment every day! Todd was born in Denver and grew up on the banks of the Colorado River in Bullhead City, AZ. 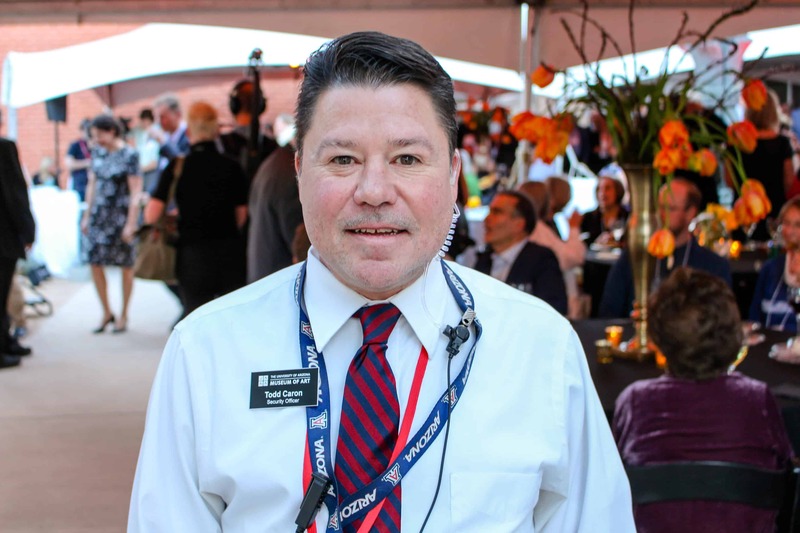 He came to the University of Arizona to attend school, then enjoyed a 20-year career in IT. Security is his second fun career. When not at work, Todd and his wife enjoy cruising and spending time with their son C.J. (a UA student) and canine companions, Luna and Bella. Todd is a people person and enjoys giving tours so feel free to ask if you see him on duty. One of our native Tucsonans, Louie has enjoyed working as a community servant for over 30 years. He joined the UAMA team as a security officer with considerable public safety and security experience, having studied social services in college and retiring as an officer with the Pima County Probation Department after 26 years. Although Louie came to UAMA with little experience in the arts, he has learned a great deal on the job. 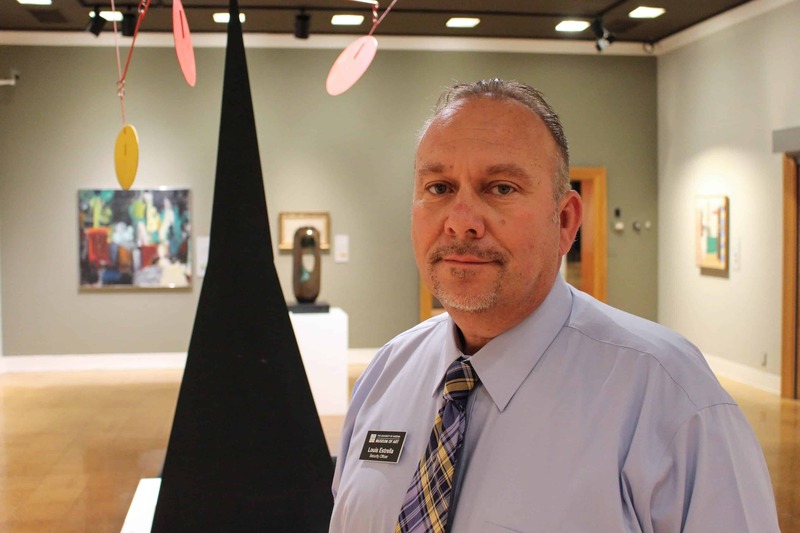 His favorite gallery is the Retablo – located in the Kress collection – and he enjoys the positive and enthusiastic interactions he has with both students and visitors. Most of all, Louie enjoys the support he receives from supervisory staff and the feeling of belonging in this “family-like” environment. He finds working at the museum both enjoyable and rewarding. Chelsea holds an M.A. in Art Education from the University of Arizona. 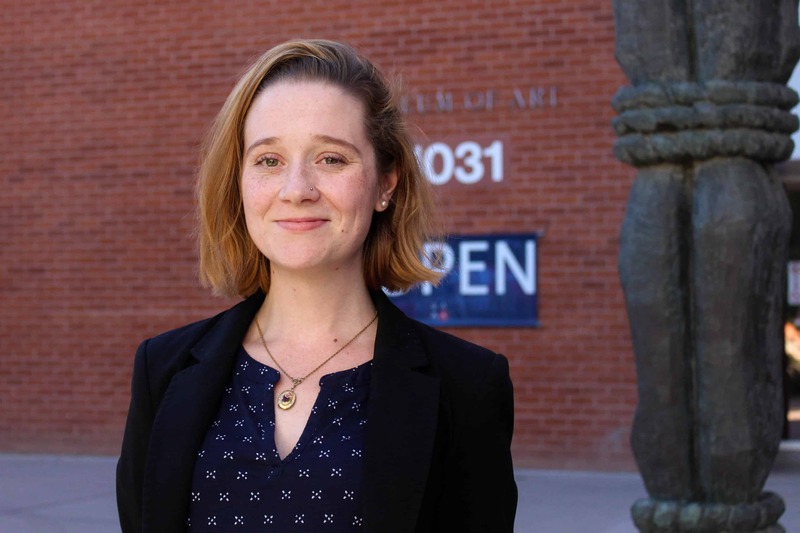 As the Curator of Community Engagement at the University of Arizona Museum of Art, Chelsea cultivates strategic partnerships for on- and off-site activities and initiatives between the museum, community, faculty, and students. Her work with community engagement through the arts has included several award-winning community programs and exhibitions involving LGBTQ youth, military families, and adults with disabilities. Jim was born in western Pennsylvania in February 1944 and grew up in southern California. He attended California State Polytechnic University earning a B.S. in social science and social work in 1967. After graduation, Jim enlisted in the Air Force and served four years in Europe, spending a lot of time visiting some of the most famous museums on the continent. He owned and operated a bakery in California for ten years, as well as one on the shores of Lake Payette for a short time. After spending the next 14+ years working in a local correctional facility, he had the opportunity to retire. 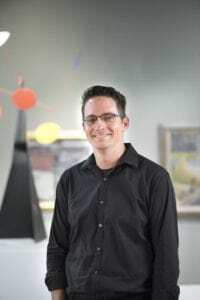 In 2013, Jim came to work at the University of Arizona and as luck would have it, got the chance to spend time enjoying and learning about the marvelous art collection at the UAMA. He appreciates the opportunity to see and enjoy great art every day. Someone once said that when you enjoy what you do it is never work – only fun. Jim can honestly say that he has fun being at UAMA and helping our amazing staff bring this equally amazing collection to the attention of our students and the citizens of our great state. Olivia Miller received her B.A. in Studio Art and Art History from the University of Arizona and her M.A. 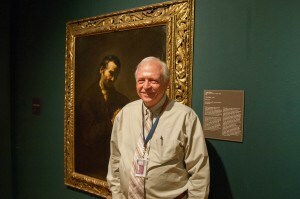 in Art History from the University of Oregon, with a focus on Spanish Baroque portraiture. 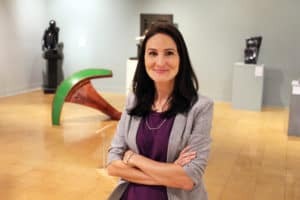 In addition to curating a wide range of exhibitions, she also serves on the museum’s acquisitions and public art committees, co-leads the Science and Humanities Communication Fellowship Program, and is a board member of the Department of English’s Prison Education Project. 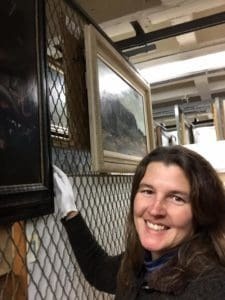 Prior to her position at UAMA, she taught art history for both high school and college levels and worked at multiple nonprofit arts organizations in Oregon and Arizona. 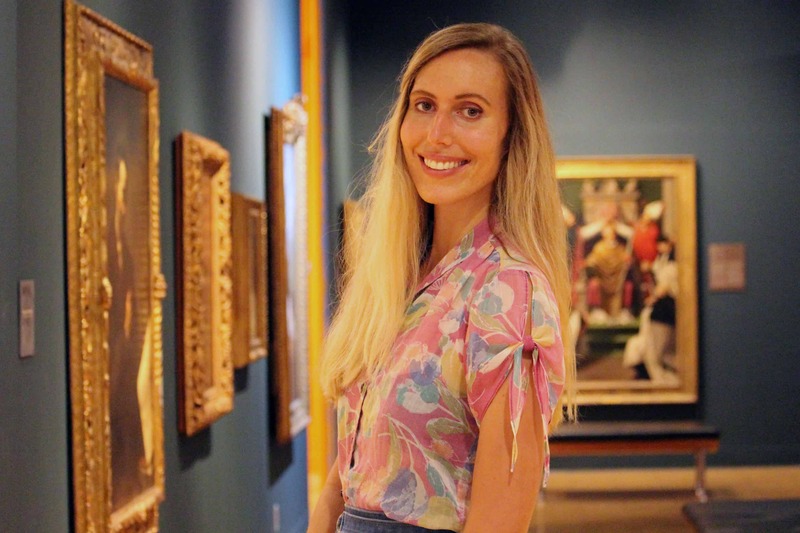 Currently a Ph.D. student in art history, she will write her dissertation on the C. Leonard Pfeiffer Collection – the UAMA’s founding collection of American art of the 1920s-1940s. 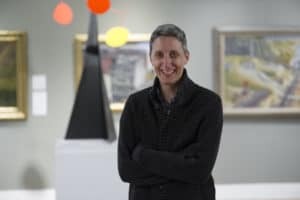 Kristen grew up in Middlebury, Vermont and graduated from Indiana University-Bloomington with a degree in art history in 1996. She then moved to Tucson for an internship at the Tucson Museum of Art, which led to an assistant registrar’s position. She started as registrar at the UAMA in 2007. 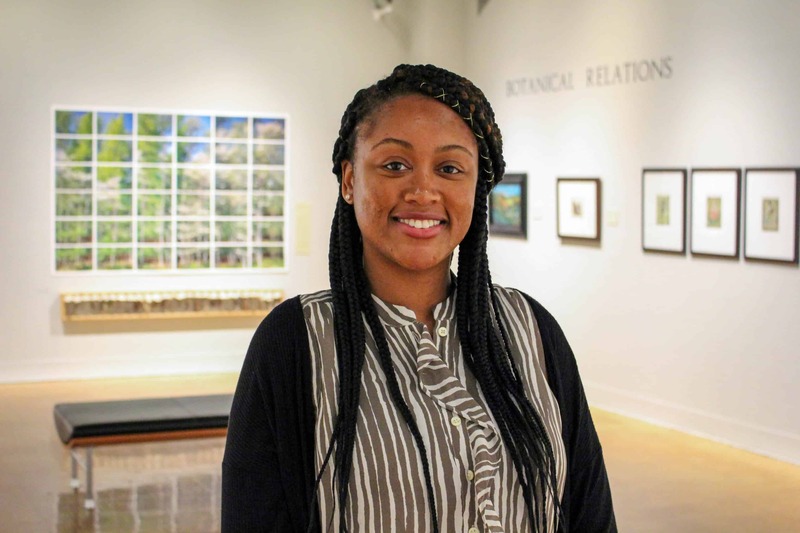 She is now pursuing a master’s degree in art history at the UA, focusing on the artwork in the Samuel H. Kress collection. Phoenix is a recent graduate of the University of Arizona where she earned her Masters in Library and Information Science and a certificate in Archival Studies. She spends her time at the Archive of Visual Arts, caring for collections and facilitating collection discovery and access. Phoenix is passionate about bringing archival collections to the public through standardized finding aids and outreach. 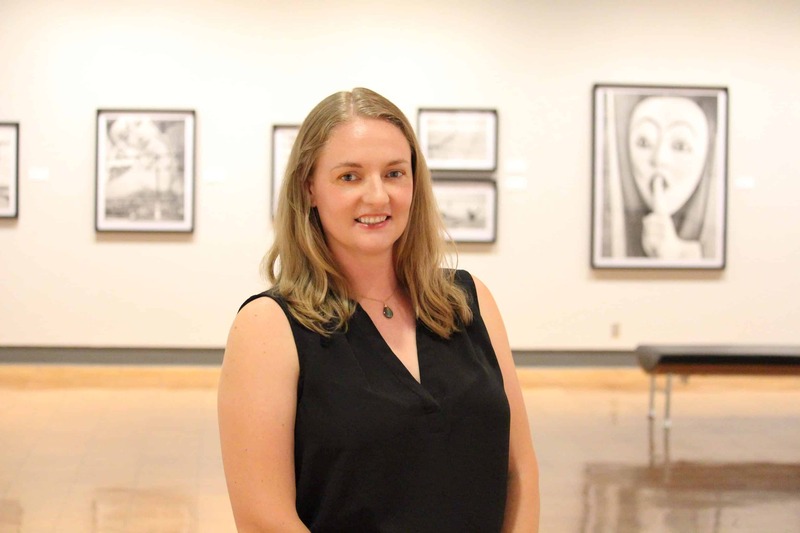 She was a student archival assistant at The Center for Creative Photography and is currently a contributing partner to the Arizona Memory Project. Angela received her B.A. in Political Science and Spanish from the University of Arizona. She joined the UAMA staff in September 2014. Prior to her position at the UAMA, she worked for 25 years in Research Administration and the Graduate College on the UA campus. 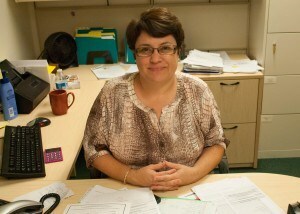 Continuing to work at the university in a completely different learning environment is very exciting for Angela. She is thrilled to work in a museum that has such a wonderful collection, education department, and a variety of exhibitions. Chris joined UAMA from Arizona State University, where she spent four years working in communications and marketing for the Julie Ann Wrigley Global Institute of Sustainability. While she sees sustainability as one of the key concepts of our time, Chris is thrilled to be back in the arts world years after working for ASU’s Gammage Auditorium. Chris grew up in Northern Virginia, received her B.A. in Journalism-Public Relations from Creighton University in Omaha, Nebraska, and completed her M.A. in Sustainable Tourism at James Cook University in Queensland, Australia.